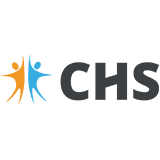 Here you can read and follow all the latest CHS News & Events. By clicking on the little envelope icon (on the right side of the navigation bar below this text) you can subscribe to our blog so you never miss an event or important news! Bright Expats and KBC Brussels, hosting this conference, will be happy to welcome you with a delicious breakfast and make of this moment an opportunity to meet, exchange views and share experiences. Guest speaker Xavier Tackoen from Espaces-Mobilité will shed light on what to expect for the future of mobility in the Brussels Region, and what we can undertake as a citizen to ease our daily commute and improve the mobility of our region. CHS is closed for booking appointments from tomorrow Friday 20th December, opening again at 10:00 on Monday 7th January. We wish you all very peaceful holidays! The 24hr helpline is open as usual of course. Call us on 02-6484014. Take care. Come buy our calendars at the AWCB Christmas Market! We will be selling our CHS calendars on Saturday, do stop by and say hi. Buy your 2019 CHS calendar at the British & Commonwealth Women's Club Christmas Fair!